Where else in the world can you find as much to see and do as in South Africa? 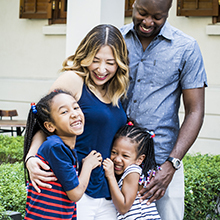 The southern tip of the African continent has everything you could possibly dream of for your family holiday: once-in-a-lifetime adventures, gorgeous scenery, wildlife, secluded beaches, perfect weather and bustling cities. And to top it all off, South Africa is an amazingly family friendly destination! 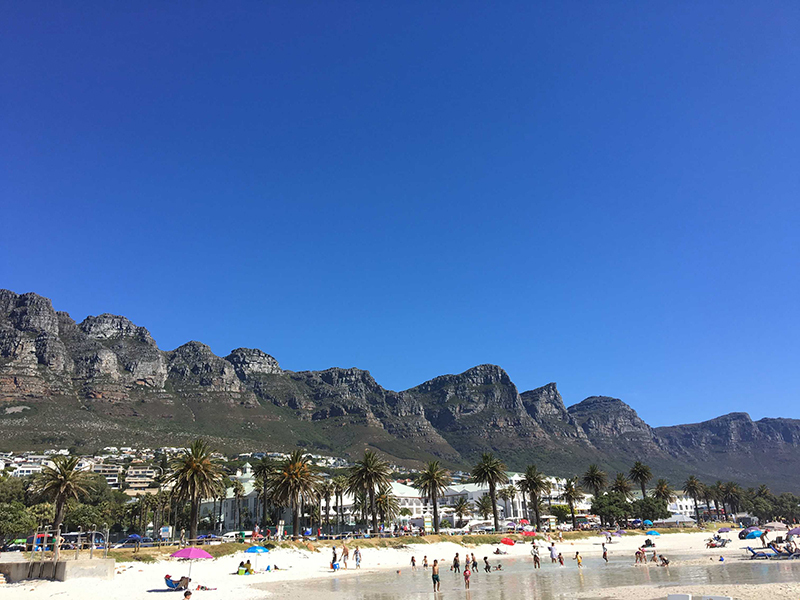 Kids are kings here and there are great family-friendly accommodations and activities to engage in… Here is our list of top 10 places to put on your itinerary for an unforgettable family time in South Africa! Perched between two oceans and breathtaking mountain ranges, Cape Town is located in one of the world’s most spectacular settings. The girls love taking the cable car to the top of the Table Mountain and enjoyed the scenic view of the city! Downtown, we enjoy taking walks in the colorful quarter of Bo-Kaap, relax in Company’s Garden, visit the amazing Two Oceans Aquarium and have lunch at the sandy Grand Africa Café. For one lazy afternoon, we pack a picnic and chose the best shady spot in the Kirstenbosh Botanical Gardens. After that, for a day-long getaway, we leave the city to enjoy the beautiful Cape Peninsula. The girls love swimming with the penguins at Boulders Beach and spotting baboons and ostriches in the wild Cape Point Nature reserve. The real adventure starts here. 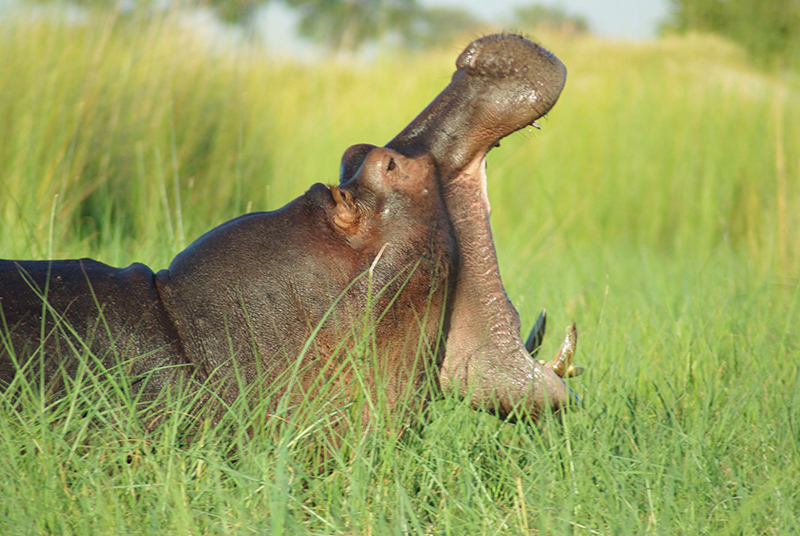 The Kruger National Park is one of the world’s most famous safari parks. 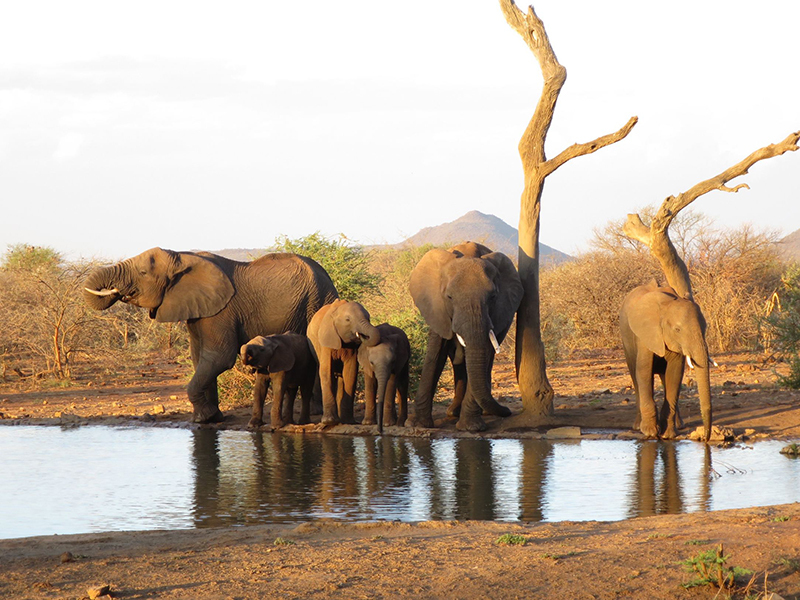 The game viewing is astonishing and you have a very good chance of sighting the famous “Big 5” – lion, leopard, buffalo, elephant and rhino. People often think safaris are not for young kids, but they actually enjoy it just as much as the adults, if not more! Our three girls became real nature experts and are amazing at spotting the wildlife! Visiting the park by yourself in self-drive is a lot of fun and very exciting! We also stay often in one of the many high-end, luxury lodges. Some of them are very family-friendly and organize special activities for the kids to get involved in! 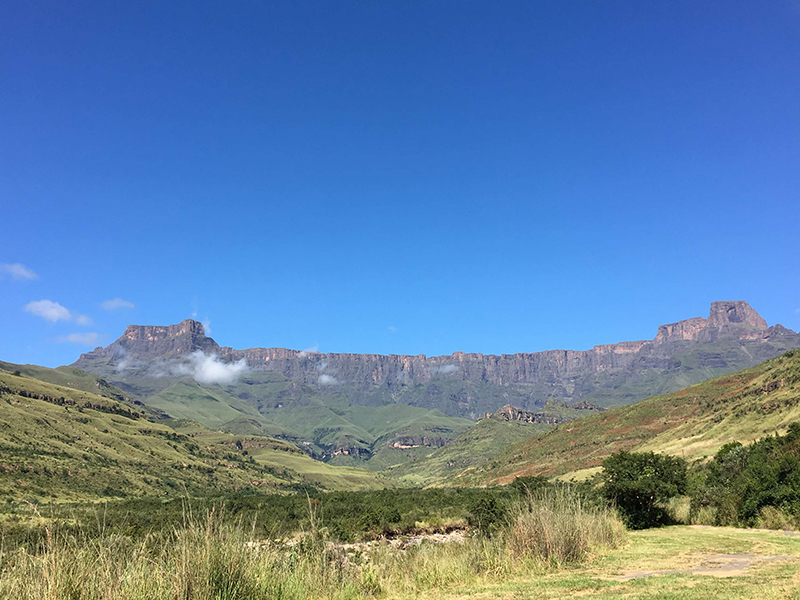 The Drakensberg, which means “Mountain of the Dragon”, is one of our favorite regions in South Africa. It’s a place of breathtaking landscapes, crystal-clear rivers, forests, waterfalls, rock art, scenic sunsets and adventures of all kind. Kids can run freely through those never-ending spaces and try all the outdoor sports and activities you can imagine. With our last visit, we had an unforgettable family hike in those fantastical mountains, where our family had the privilege of watching the sunset in solitude. 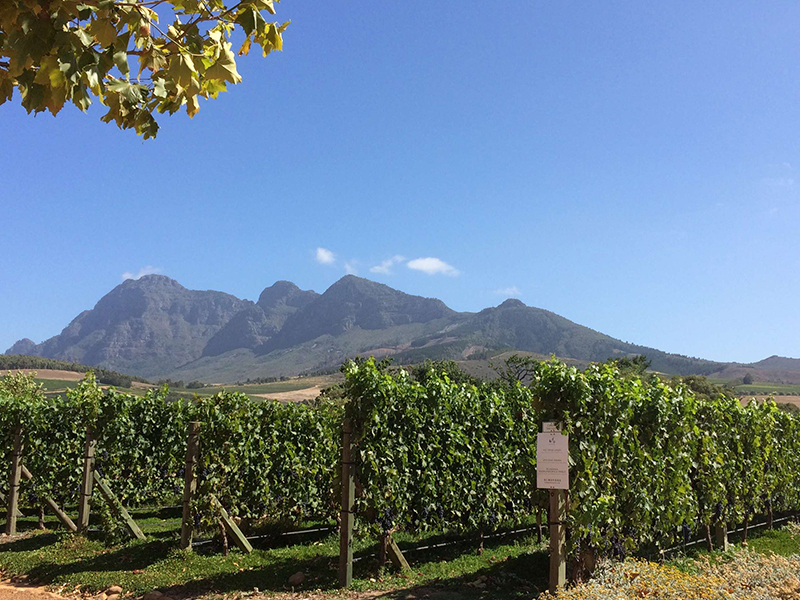 The world famous Cape Winelands is also very kid friendly. 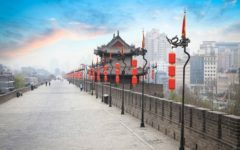 Visit centuries-old architectural estates, surrounded by mountains and lush valleys. 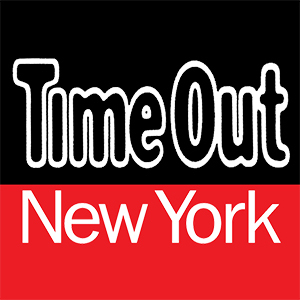 Most of them organize wine tasting (and grape juice tasting for kids), scrumptious picnics or offer the best tables in the country. Our absolute favorite is Babylonstoren, an incredible vegetable garden and working farm. We are also very big fans of the picnics in Boschendael. At La Motte, you can enjoy a gourmet lunch, while the kids paint under the shade of old trees. The Garden Route stretches along the South-Eastern coast of South Africa. It has the most magnificent coastal scenery, with secluded beaches, wild forests, dramatic rivers, lagoons, green hills and rocky cliffs. We like to rent a beach house in the charming village of Plettenberg bay, where there are plenty of lovely restaurants and for the kids there are plenty of things to do in the area. 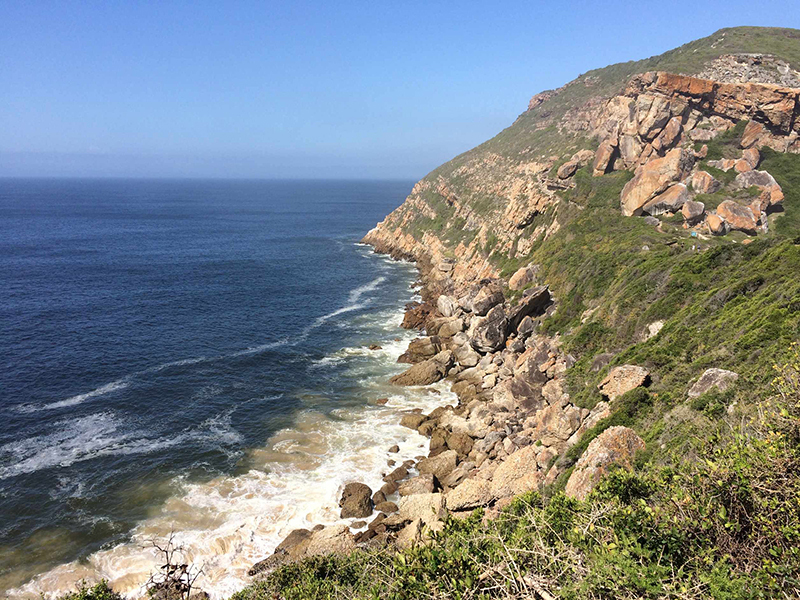 Should you ever visit there, be sure not to miss the Robberg Nature Reserve, a real gem! Johannesburg – also known as the City of Gold – is the largest city in South Africa and the vibrant heart of country. It has suffered for a long time from a reputation of being a bit of an urban jungle, but living here for four years now, I can tell how much I love this city! 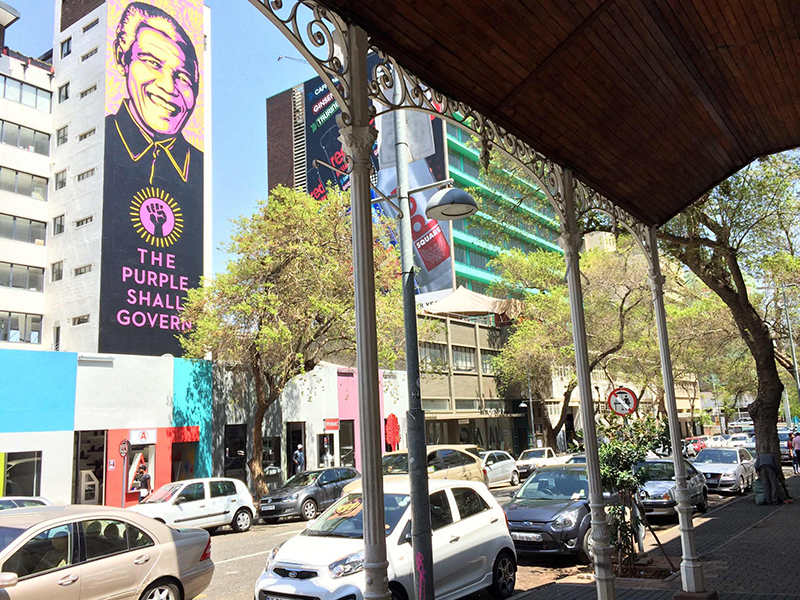 It became a trendy and arty hub with new markets, galleries and boutique restaurants opening every day in Maboneng, Braamfontein or Newtown. Walking through these new neighborhoods, you will feel the raw energy and experience all of the diversity the country has to offer. There is always sure to be some kid friendly restaurant or activity just around the next corner. One of our favorites is to go to the Farmer’s Market in Fourways on Sundays and enjoy nice food, concerts and kiddies workshops. iSimangaliso means “miracle and wonder” in isiZulu, which aptly describes this unique place. To reach the park, you will have to drive across Zulu country, with its pineapple plantations and sugar cane fields, and the authentic and lively small villages. The park is home to Africa’s largest estuarine system, coastal forests, dunes, endless beaches, croc-filled swamplands and savannas. 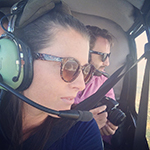 The variety in wildlife is incredible and our girls like the mix between classic safaris and coastal adventures. When last we visited, we spent the morning snorkeling and then went on a safari that same afternoon. Where else can you do that? The Namaqualand is a semi-arid desert on the Northwest part of the country, with dusty plains and imposing mountains in the background. 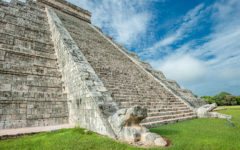 But each year, during the spring months, it offers the most incredible and captivating spectacle to visitors. 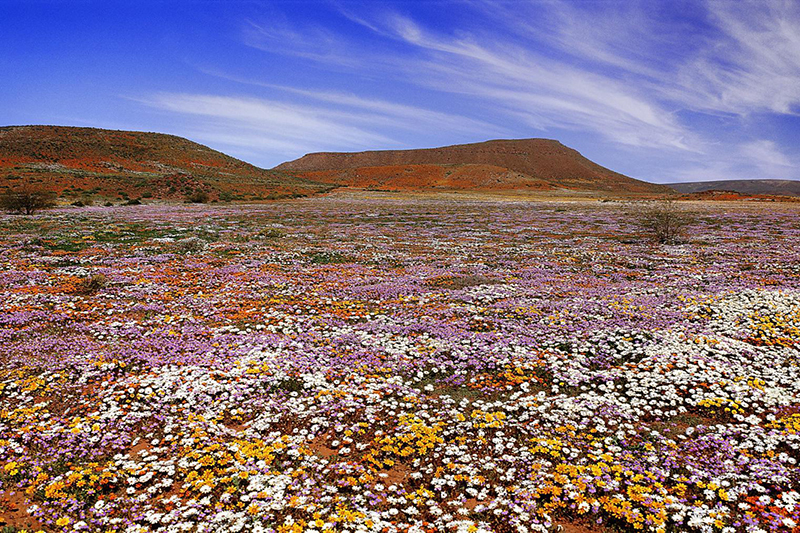 After the winter rainfall, Namaqualand dons her coat of many colors and for a brief moment, bright carpets of wildflowers invade the countryside. Bring the kids to witness this seasonal event and you will be offering them one of nature’s true miracles. South Africa is one of the most ideal places in the world for whale watching. 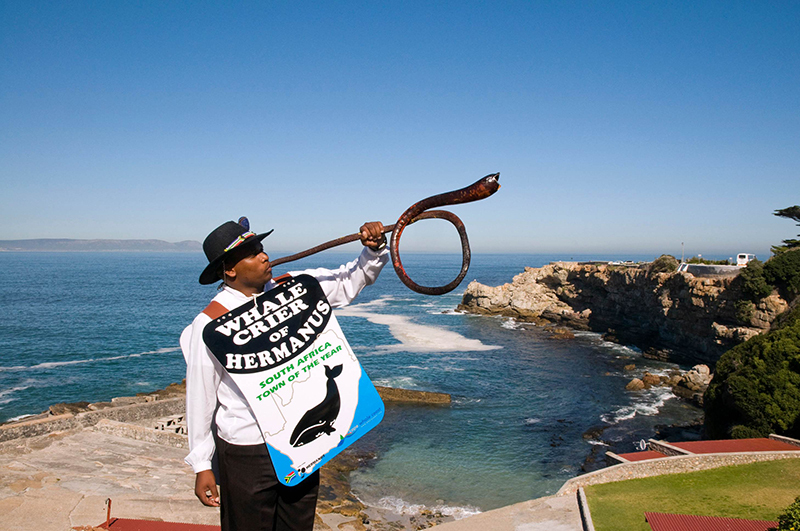 The charming town of Hermanus, located one and a half hours drive from Cape Town, has sheltered, shallow waters, which, each year between June and November, attract scores of migrating whales which come here to mate and breed. 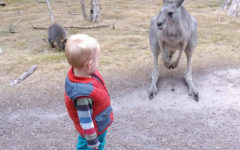 Can you imagine your kids’ faces when encountering those giants? If you take the small boats tour, you can come really close to the whales – guaranteed to be an unforgettable spectacle! We are a family of horse lovers and try to go for horse riding safari as often as we can. 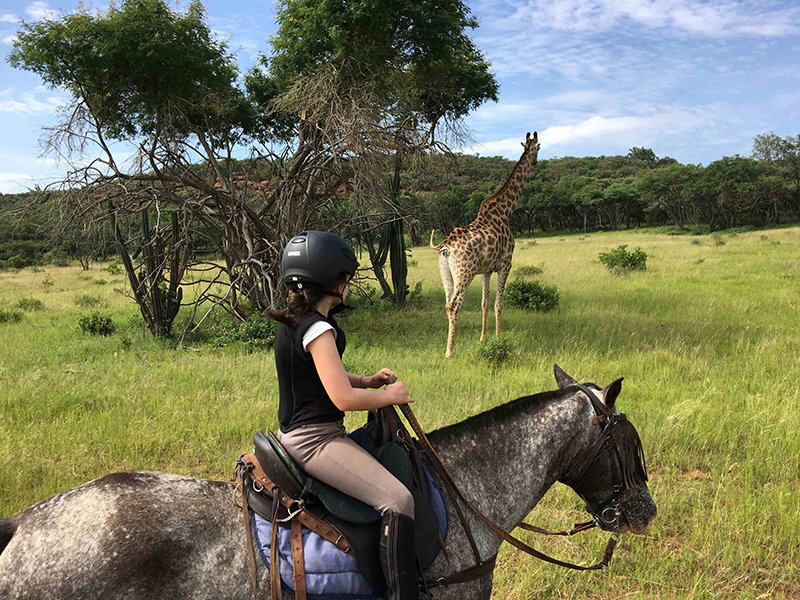 Africa is a very special place, but Africa on horseback is truly magical! You will never get as close to the natural wildlife as you will on horseback. Becoming part of a herd of zebra as they canter across the plains, or quietly approaching giraffe and hippo is a truly life changing experience. There is no need to be an experienced rider either. Even our 3 and half year old is already on horseback! Sophie Pirlot is a Belgian mother of three girls, living in South Africa. She is a travel writer for various websites. Follow her on her blog, Facebook, Pinterest and Instagram.